Most states classify breaking into a motor vehicle as a burglary, but in Maryland it is a separate crime. If you have been arrested for this offense, the charging document will most likely read rouge and vagabond. While this type of language is rarely used in modern times, the state lawmakers never decided to change the name of this crime, and the language remains. Regardless of the legal name, this offense is a misdemeanor with a maximum sentence of 3 years in jail. In this respect, the charge is similar to that of a fourth degree burglary, but it some ways this crime is treated more seriously. It is a common crime amongst juveniles and younger defendants, but there are also cases where adults are arrested. The criminal lawyers at The Herbst Firm have extensive experience defending this type of charge, and we are committed to exhausting every possible avenue to achieve the best results. Car burglaries have unique defenses and possible motions to suppress and motions to dismiss, and we will file and argue any appropriate motion in your case. Likewise, we will not back down from the state if a jury trial is the best option. Many rouge and vagabond charges are based entirely on circumstantial evidence and the state knows that these cases are hard to prove. On the other hand, there are often victims who have lost or suffered damage to their property, and tend to put pressure on the state to pursue charges to the fullest extent of the law. It is because of this fact that few of these cases are dismissed, and many end up going all the way to trial. Each time we are retained on a case, we are committed to providing the best possible defense for the long haul. We will never try to convince our clients to take a guilty plea just because it requires less work. Arrests in a car burglary case are typically made as a result of a few different circumstances. The least common circumstance is eyewitness identification. 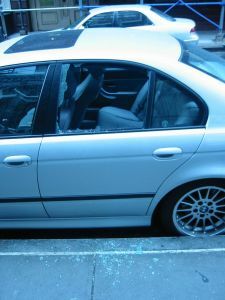 Unlike other burglary crimes, these car break ins are often executed at night when the people involved are sure nobody is around. It is far more common for police to locate stolen items and then follow the items back to a suspect. Stolen items from a car may appear for sale on social media sights such as Facebook and they often turn up in pawnshops. All police detectives have to do is locate the seller and then they often find the person responsible for the break in. Cops also use fingerprint and DNA technology to locate car burglars, but this crime-solving tactic is less common unless the value of the theft is extremely high. Regardless of how police make an arrest for a car break in, the single most damaging piece of evidence is a statement made to the police. Police will promise a suspect anything under the sun to get a confession, and this is an especially successful tactic with juveniles. Never talk to the police, and contact a criminal defense lawyer immediately if you are under investigation.